Lately, a number of my friends and clients have been Skyping me. It has been helpful to be able to share photos and design ideas from our computer screens, plus it’s just more enjoyable to see people rather than just talking on the telephone. One friend and I have been using Apple’s Facetime lately. I actually prefer it in some ways. It is easier to use and the connection seems to have less problems. But having to hold the iPhone is awkward or leaning it against the computer screen creates an unflattering angle shooting up my nostrils. I am a photographer, after all. And even my personal communications should be professionally executed. 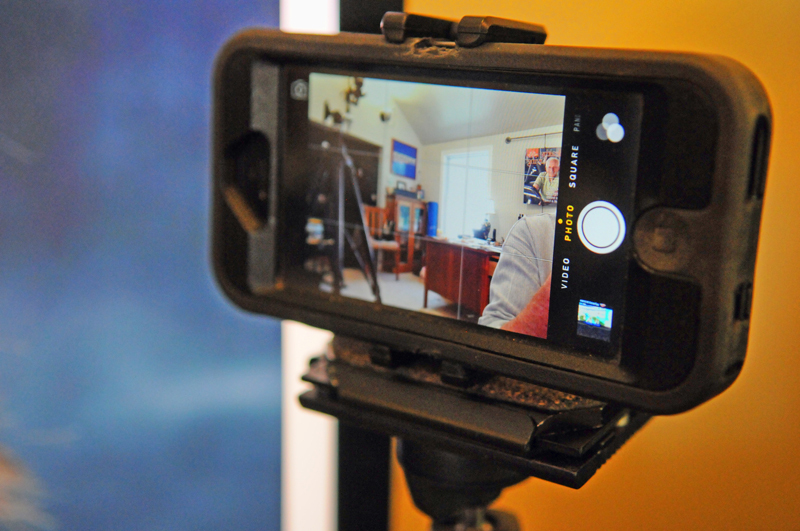 Yesterday, I looked around the office and located a tabletop tripod and pulled a little iPhone tripod clip from my camera bag. Instant studio! Now I can create a visually acceptable studio look for my communications. 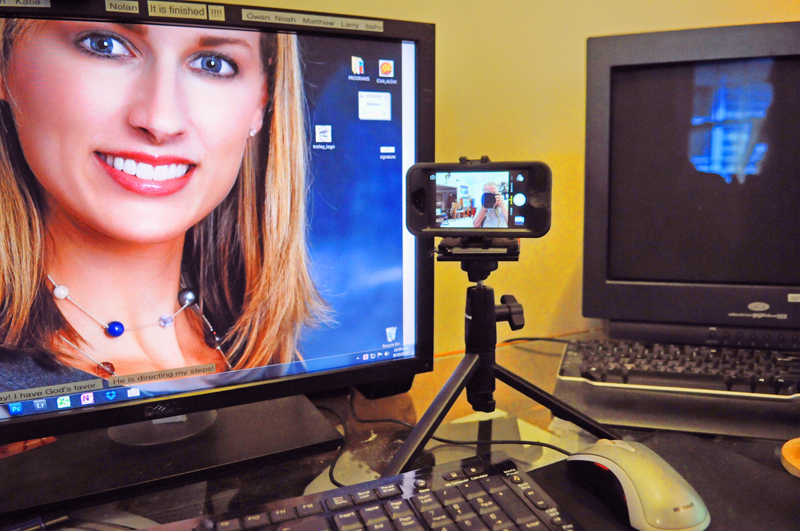 And mounting the phone on the stand makes texting, checking the weather, and using other apps easier. And when the phone rings, it’s right here! 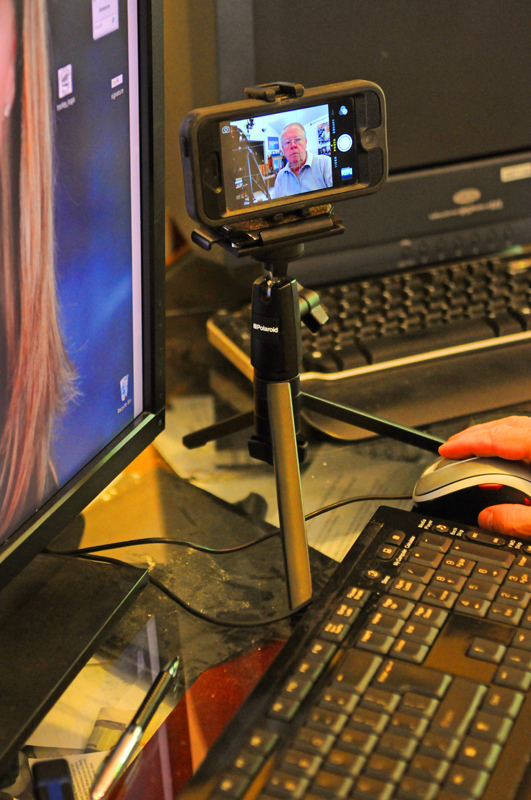 Inexpensive camera stands are available, like Monkey Camera Tripods and Smartphone Tripod Mounts. Ah, technology! How did we live without it?